In order to ensure that the Head Space and Timing community is providing the most support possible to veterans, their families, and those who support veterans, we will be starting a new series of weekly posts that will highlight resources for veterans. 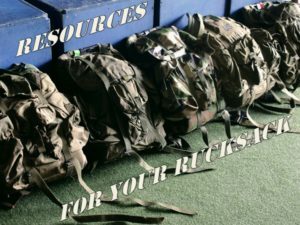 These posts will highlight a particular resource that is free for veterans. This is important to us: in our opinion, veterans should not have to pay for their mental health care. That’s not to say that those providing the care should work for free, as they are just health and wellness professionals that spent considerable time and effort receiving clinical training and developing their skills, and should be compensated appropriately. Instead, it is important to find other resources available, such as Insurance (with or without co-pay), the Choice Program, or grant-based or scholarship-based programs, which will enable to counselor or therapist to meet with the veteran. That is the goal of this series of posts. The resource highlighted today is the Veteran Crisis Line. I know what you may be thinking: “I already know about that one. That’s the phone line where they call 911 as soon as you get on the phone” or “aren’t they sending those calls to voicemail?” Well, I’m originally from Missouri, so the Show Me state has taught me to be skeptical; I don’t always believe everything I hear. Even if it is on the internet. In the military, they always taught us to train like we fight. The basic premise of this is to not be caught off guard by the hardships and challenges of combat or deployments, but to practice our reactions when we are NOT in combat. You can do the same thing here: reach out to the crisis line BEFORE there is a crisis just to understand what to do. Give them a call, or a text, or jump into a chat. Let them know you’re interested in hearing about how it works. I did. I jumped into the chat and hit the timer. Within 30 seconds, Jeff came online. Granted, this was a Thursday morning in November, but my ingrained cynicism was expecting something like a minute and a half. Jeff and I had a brief, but pleasant, exchange. I explained to him that I was a mental health counselor looking to verify how the chat worked and what a veteran I was working with could expect. “Are you a veteran?” I asked. Yes, he said, but he did tell me there were coworkers of his who were not. “If someone calls or gets online, do you immediately call 911?” This is a concern that I hear often, that as soon as the word “suicide” comes out of a veteran’s mouth, the cops are at the door. That’s not the case with the crisis line; Jeff said that 911 is used as an extreme last resort, and only if the veteran is unable or unwilling to commit to keeping themselves safe. As a suicide prevention instructor, I can tell you that this is entirely in line with what is the best practice: if the veteran can commit to keeping themselves safe, remove the cause or danger that puts the veteran at risk, and have the ability to come up with a plan, then there’s no need to involve emergency personnel. Jeff also said that each veteran will be asked as soon as they get on: “Are you having suicidal thoughts?” It’s immediate. Again, best practices. We need to know what we’re dealing with, and suicide is the primary danger. He also stressed that follow-up services, such as connection to a Suicide Prevention Coordinator at the veteran’s local VA, are only provided if the veteran asks for it. If you are a veteran and are in crisis, or are a family member or supportive community member of a veteran, then reach out to the crisis line. Understand it, get to know it. It could, quite literally, save a veteran’s life. For more information on this and other programs that provide mental health support to veterans, please visit our RESOURCE page. Please comment below and share with your network in order to join the conversation regarding veteran mental health. 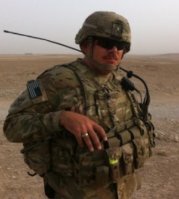 You can sign up for updates from Head Space and Timing and follow Duane, a combat veteran and mental health counselor, on Facebook, Twitter and LinkedIn. What Priorities in Your Life Define You? You Get To Choose What’s Important.